CBI/CADMAN Victims issue a warning!!!! Between 2006 and 2010, Alberta [Red Deer/Sylvan Lake] native Brothers Travis and Ronald CADMAN doing business as “CBI” [Cadman Brothers Inc.] are alleged to have defrauded thousands of investors of approximately $100,000,000 [CAD] by way of misrepresentations and omissions. The Cadman’s and/or their companies have been the target of a numerous ‘Class Action’ lawsuits in Canada which have reaped very little in the way of returns to the victims. 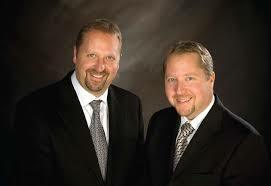 Subsequent to being banned by the ASC from being a principle in any company or investment entity in Canada for Securities crimes, the Cadmans seemingly ‘relocated’ their operations and their stolen cash assets out of Canada, some [several million dollars] of which have been invested in real estate in Arizona and Texas. It would seem that the objective was to extract as much money as possible from Canadian investors and then move the money outside of the borders of Canada to the United States and elsewhere as to make the recovery of the funds out of reach of the Canadian Courts. These schemes were perpetrated utilizing more than 40 different companies in the US and Canada have been identified as being connected to the CADMAN’s various alleged schemes. Some of the investors has recently learned of an effort within the United States to make the Cadman’s account for there misdeeds. A source within the Justice community in the USA indicates there are ongoing investigations into the Cadman’s and their business activities in the states. A separate source also advised that legal actions are underway in US Courts targeting more that $20,000,000 million worth of assets owned by the Cadman’s in the states of Arizona and Texas. If you were a victim of these fraudsters soon there will be additional information and a link to make contact with US Investigators to help bring these criminals to justice, so stay tuned.